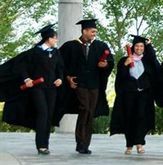 Private Education in Malaysia - Universities, Colleges and Schools: Your One-Stop Information Guide. Find Answers on Private Education in Malaysia Right Here! ~ Looking for the right course, college, university or private school? ~ Need information on scholarships, university ranking or English courses? ~ Spending hours browsing websites and brochures for information? Find answers on private education in Malaysia right here! Malaysia-Education is your one-stop information guide to private education in Malaysia. Here you’ll find study options on undergraduate and postgraduate courses at private institutions of higher learning, pre-university and diploma programmes, private schools and language courses. So explore our site and find your best study options.